Memorial Hermann Medical Group (MHMG) Clear Lake provides highest-quality care for patients in the Bay Area. Our specialists in family medicine and general surgery focus on precise diagnosis and up-to-date treatment, but the heart of our practice is caring and empathetic relationships with patients of all ages – newborns to seniors. 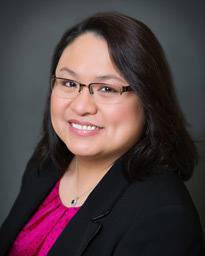 Dr. Marlyn Generillo earned her medical degree from De La Salle University College of Medicine in Manila, Phillipines, and completed her residency in family medicine at Henry Ford Hospital Department in Detroit, Michigan. Dr. Generillo treats patients of all ages. Her clinical interests are managing chronic diseases and issues related to women’s health. She takes time to carefully listen to her patients and considers herself to be a friend and educator. 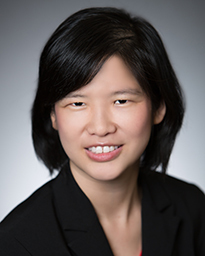 Dr. Christine Chen earned her medical degree at University of Medicine and Dentistry of New Jersey (UMDNJ) – New Jersey Medical School. She completed her residency at Hunterdon Medical Center Family Practice Residency Program. She treats patients for a variety of medical conditions both chronic and acute, including hypertension, diabetes, skin rashes, and the common cold. Her clinical interests include stress and nutrition management. Memorial Hermann Medical Group (MHMG) Webster is conveniently near the intersection of Galveston Road and Bay Area Blvd., just east of the Gulf Freeway (I-45) and near NASA and Space Center Houston. Surface lot parking is available at the location.